2018-09-23 Jack Saes, CAM specialist at PLM Services has successfully provided a remote NX CAM workshop for Kiefel Packaging Indonesia. 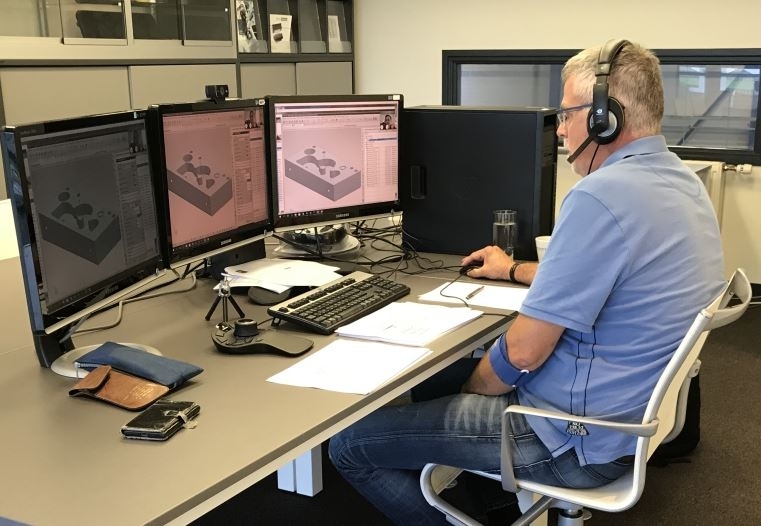 Via a Skype connection a NX CAM instruction was given from the branch of Kiefel Packaging in Sprang-Capelle to the CAD/CAM engineers in Indonesia. With cameras the teacher could watch the students and give instructions when performing the exercises. The remote NX CAM workshop was positively experienced from both sides.